Why are the victims always blame? Should a victim of sexual assault be told to come foward earlier? 1. Should a victim of sexual assault be told to come foward earlier? As healthcare professionals, we know the effects of blaming any victim of any sexual misconduct. However, as I watch Cuomo Prime Time one of the guests is Kelly- Anne Conway she is actually blaming the victim of a sexual assault. This is one of the main reasons why victims of sexual assault do not want to come forward. The treatment this victim is receiving from our elected officials is disgusting. In my opinion, it does not represent this country nor the office they currently hold. Pretty sure there's a forum for politics and this isn't it. Are questions about sexual assault necessarily "politics"? 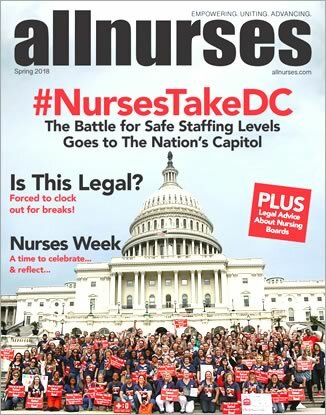 I've been dealing with questions and victims of sexual assault throughout my nursing career. As a survivor, I've come forward. It was a waste of time and, frankly, I regret it. Look at pretty much any high profile case. The victim is attacked, scrutinized, shamed and disgraced. They have nothing to win and everything to lose. Why would anyone put themselves through that? Nope. No thanks. When you bring up Kellyanne Conway, it's politics. Sexual assault is one of the most egregious violations of one's body. Survivors deal with the after effects in their own way. To insist that there is a "correct" way for a survivor to process their experience including sharing with others, reporting, seeking justice, or any other aspect is atrocious and is, itself, re-victimization. To insist that not only did one have to suffer the assault on their most private and protected sense of bodily integrity but furthermore, because their body was victimized, they must cede further control over their body and life is nothing short of an second assault. Sexual assault survivors often must re-live horrendous trauma if they do make the decision to report the crimes committed against them and no one other than the survivor should have any say over how or when that takes place. Of course victims should not be blamed. But by the same token the accused should not be publically pronounced guilty by politicians when the facts have not been revealed. Your poll doesn't do justice/make sense (earlier than what?). You mean actually have an impartial entity investigate allegations of a crime? Brilliant! I suggest you contact Senator Grassley immediately! Sen. Grassley's office number is 202-224-3744. Victims are always to blame for a very simple reason. We live in a world in which women are not equal to men, so therefore, we have less respect in the society. When men hold the power, they make the decisions that favors other men. Look at the make up of the Senate Judiciary Committee. Who did the TX BOE take out of historical learning? Two women. Helen Keller and Hillary Clinton. You can bet Rick Perry is still part of the curriculum, even though his achievements would never outshine the two women removed. You don't like the status quo? Perhaps she shouldn't be on TV slamming a sexual assault victim. Well, if the person is victim shaming then she invited herself into the conversation.